One of the reasons this collection of verses is separated after 52:15 is because Medieval Jews and a few other early scholars could understand that 52:13-15 is describing the Messiah (victorious), but 53:1-12 could not be referring to the Messiah in their understanding since the servant suffers in defeat. The kings of the Gentiles lord it over them; and those who exercise authority over them call themselves Benefactors. But you are not to be like that. Instead, the greatest among you should be like the youngest, and the one who rules like the one who serves . . . But I am among you as one who serves. 53:1 is Isaiah asking, “Who will believe this?” and “To whom has God revealed this powerful plan?” Isaiah job is to preach this message to Israel and the nations. Isaiah himself has believed the message (or, promise) since he calls it “our” message. Phulakterion (Gr) – Phylactery (Eng) – the Greek word phulakterion means “an outpost” and “fortification” in a military setting. (The word phulax itself means “a guard.”) The word phulakterion came to mean “any kind of safeguard” and began to be used to refer to amulets which is an object worn to protect the owner from danger or harm similar to a good luck charm. In the NT the phulakterion, or phylactery, was a small headpiece made of parchment that was worn like a headband. It contained written scriptural quotes to remind the worshipper of the Law of Moses and the commandments of God. Jesus addressed this in Matthew 23:5.
do not have an understanding of the reality of God. 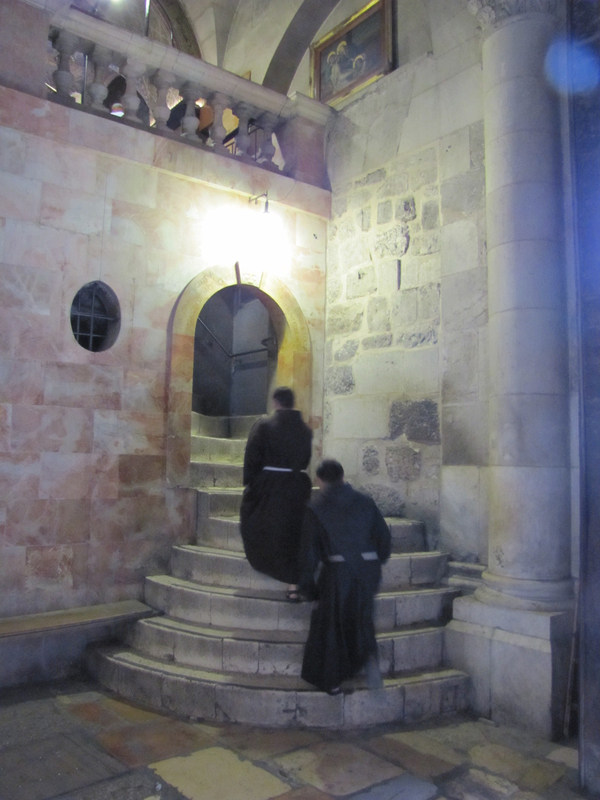 Priest ascending stairs to calvary in the Church of the Holy Sepulcher. 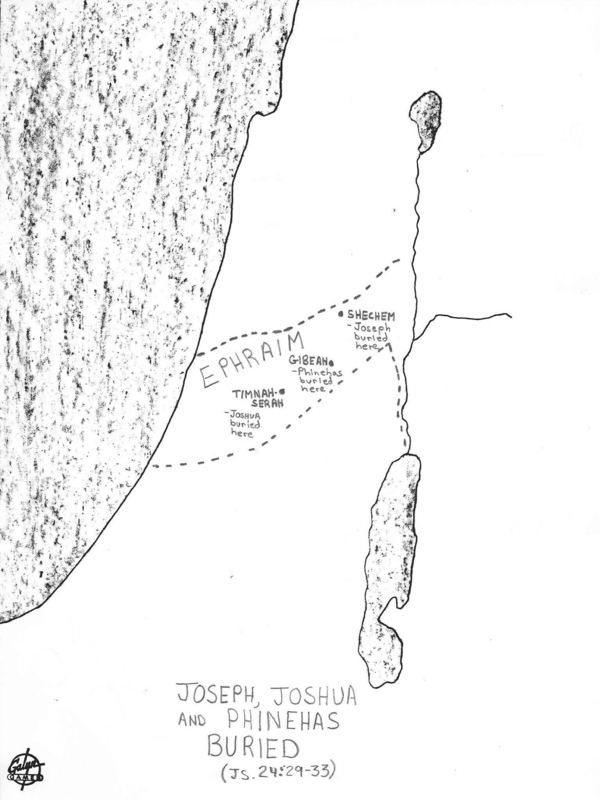 Joshua 24:29-33 - details and locations on a map of the burial of Joseph, Joshua and Phinehas in the Promised Land. "Let us never tolerate the slightest inroad on the discipline of our ancient, our holy Church. Let us never consent that she should be made the hireling of the Ministry (the State). Our forefathers would have died - nay, they perished in hopeless slavery - rather than consent to such degradation." - Daniel O'Connell (1775-1874) an Irish nationalist in a speech at Dublin in 1814. – Deuteronomy 32:4; Psalm 18:30; Matthew 5:48. 41 In the seventh month Ishmael son of Nethaniah, the son of Elishama, who was of royal blood and had been one of the king’s officers, came with ten men to Gedaliah son of Ahikam at Mizpah. While they were eating together there, 2 Ishmael son of Nethaniah and the ten men who were with him got up and struck down Gedaliah son of Ahikam, the son of Shaphan, with the sword, killing the one whom the king of Babylon had appointed as governor over the land. 3 Ishmael also killed all the men of Judah who were with Gedaliah at Mizpah, as well as the Babylonian soldiers who were there. 16 Then Johanan son of Kareah and all the army officers who were with him led away all the people of Mizpah who had survived, whom Johanan had recovered from Ishmael son of Nethaniah after Ishmael had assassinated Gedaliah son of Ahikam—the soldiers, women, children and court officials he had recovered from Gibeon. 17 And they went on, stopping at Geruth Kimham near Bethlehem on their way to Egypt 18 to escape the Babylonians. They were afraid of them because Ishmael son of Nethaniah had killed Gedaliah son of Ahikam, whom the king of Babylon had appointed as governor over the land. 32 After all that Hezekiah had so faithfully done, Sennacherib king of Assyria came and invaded Judah. He laid siege to the fortified cities, thinking to conquer them for himself. 2 When Hezekiah saw that Sennacherib had come and that he intended to wage war against Jerusalem, 3 he consulted with his officials and military staff about blocking off the water from the springs outside the city, and they helped him. 4 They gathered a large group of people who blocked all the springs and the stream that flowed through the land. 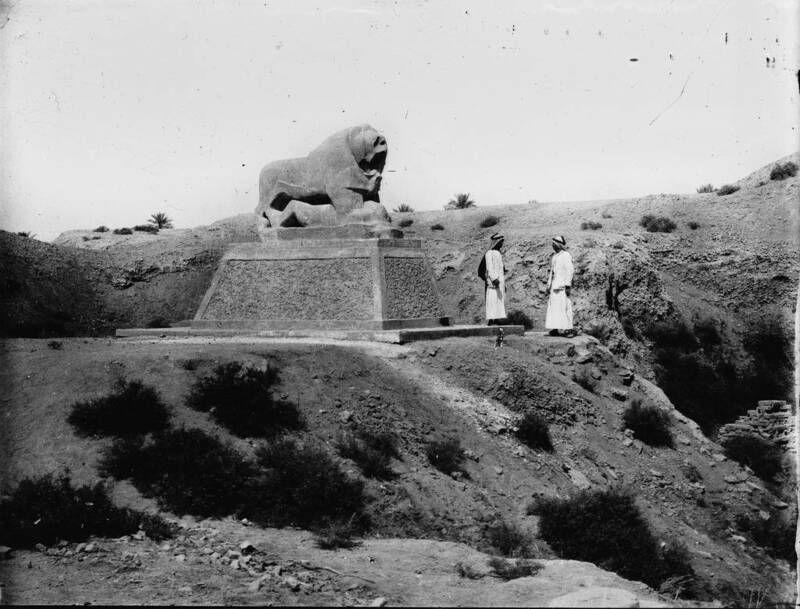 “Why should the kings of Assyria come and find plenty of water?” they said. 5 Then he worked hard repairing all the broken sections of the wall and building towers on it. He built another wall outside that one and reinforced the terraces of the City of David. He also made large numbers of weapons and shields. 30 It was Hezekiah who blocked the upper outlet of the Gihon spring and channeled the water down to the west side of the City of David. He succeeded in everything he undertook.